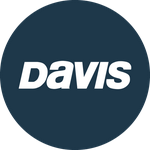 Davis Instruments Support, FAQs and Troubleshooting - How much is shipping? All Categories ​>​ FAQ ​>​ General ​>​ How much is shipping? Shipping cost is calculated in our freight tool based on shipping service, product weight, dimensions, and shipping location. To view your shipping cost before sending in the order, add desired item(s) to the cart, proceed to checkout with shipping addressed filled in correctly, and view the calculation of different options in the SHIPPING section of your CHECK OUT page. How can I tell if my Vantage Connect battery is getting low?